Graveside services are scheduled for 10 a.m. Thursday, Sept. 17, at the General Douglas L. McBride Veterans’ Cemetery in Roswell for Donald Ray Thurman of Artesia. 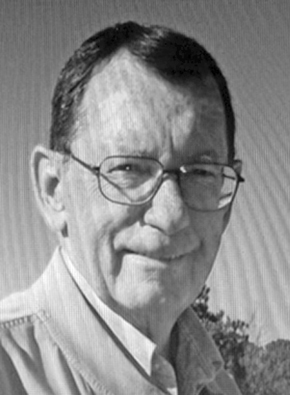 Thurman, 69, passed away Monday, Sept. 14, 2015, at Mission Arch Center in Roswell. Brother John Thomas will officiate at the services. Pallbearers will be Kenny Thurman, Jerry Thurman, Danny Thurman, Scott Gutierrez, Steve Gutierrez and Zachary Gutierrez. Thurman was born April 2, 1946, in Artesia, the son of Olen Ray Thurman and Marian (DeWitt) Thurman. He was a lifelong Artesia resident. He served his country in the United States Army during the Vietnam War and was awarded the Vietnam Service Medal with one Silver Service Star, Bronze Service Star and the Army Commendation Medal, along with several others. On Dec. 2, 1977, he married Olivia Chavez in Carlsbad. He was a warehouse manager for Halliburton and member of Lakewood Baptist Church. He enjoyed golfing, spending time with his grandkids, family, and his dog, Barney. He was also self-employed owner and operator of the Sandhill Lunch Box and Townhouse Cafeteria. Survivors include his wife, Olivia Thurman, of the family home; sons Danny Thurman of Santa Fe, Jerry Thurman of Hobbs, Ernie Thurman of Los Lunas, and Kenny Thurman and wife Stacey, Steve Gutierrez and wife Rhonda, and Scott Gutierrez and wife Anna Marie, all of Artesia; sisters Patsy Trujillo and Kathy Farrar, both of Artesia, and Teresa Thurman of Odessa, Texas; brothers Junior Thurman and wife Vicki, Mike Thurman and wife Pam, and Joe Bob Thurman and wife Yvonne, all of Artesia; seven grandchildren; and one great-granddaughter.